It’s no secret that round here we’re in love with Frida. From our handmade pencil cases, to the portraits we bought in Mexico, Frida is all around us at home, and who can blame us. We greatly admire her indomitable spirit and her artistic honesty. 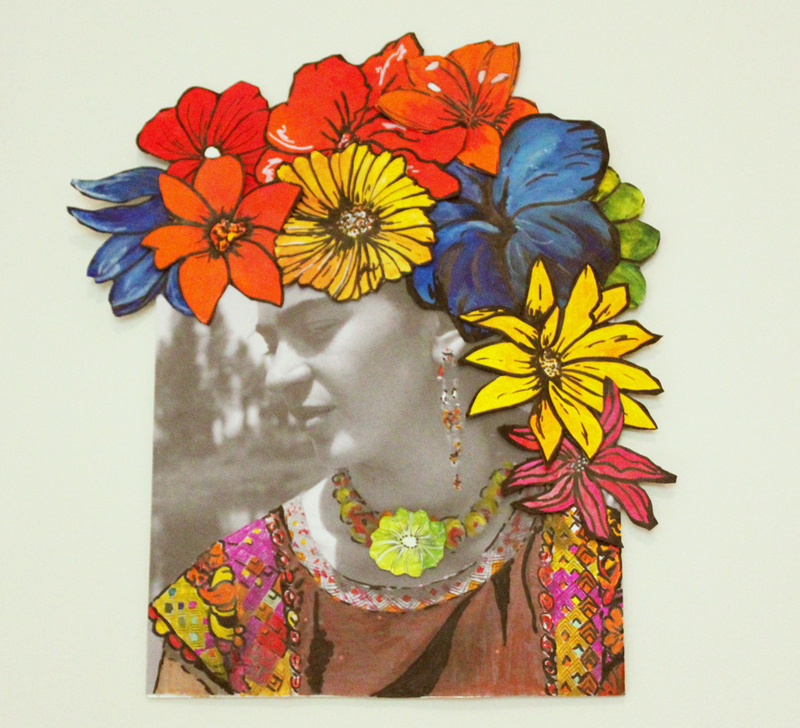 A printed photograph of a young Frida mounted on a card stock, hand painted and tinted, with a crown of flowers, each flowers cut out of smooth card stock, painted in acrylics, and collaged around Frida. 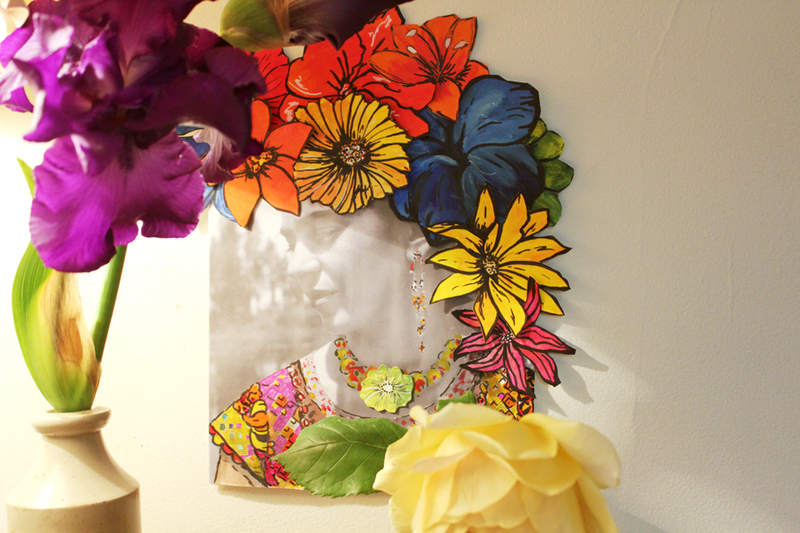 Come pop over to Patrice’s this weekend for more Frida kinship. Hello from Sunday night…which is turning into a Monday morning post again! I feel a kinship with Frida too — a woman and an artist far ahead of her time. You are so clever! I just love this .. I love your Frida too! I like how you managed a sensation in three dimensions between portrait and real flowers, and how was all integrated into a single image. congratulations! colour vibrancy or not (i’m more for muted), i feel connected to frida. she’s so immortal. you did this in an instant? you’re a quick adapter… i’d be cutting out those flowers, like, forever… enjoy the weekend, v. n? I am totally taken by this, dear Veronica! the NY Botanical Gardens is featuring an exhibition of flowers themed to Frida .. i wish you were here so we could go together! I would steal it too. Great.